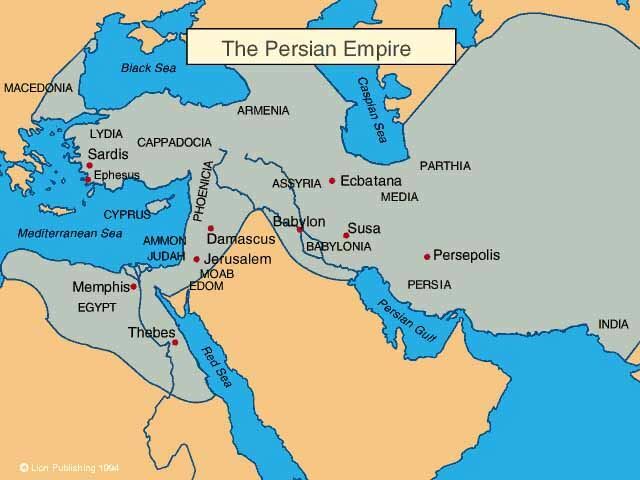 The Achaemenid Empire - or First Persian Empire - was an empire based in Western Asia, founded by Cyrus the Great. Ranging at its greatest extent from the Balkans and Eastern Europe proper in the west to the Indus Valley in the east, it was larger than any previous empire in history, spanning 5.5 million square kilometers. It is noted in Western history as the antagonist of the Greek city-states during the Greco-Persian Wars and for the emancipation of the Jewish exiles in Babylon. The historical mark of the empire went far beyond its territorial and military influences and included cultural, social, technological and religious influences as well. Alexander the Great, an avid admirer of Cyrus the Great, conquered most of the empire by 330 BC. Upon Alexander's death, most of the empire's former territory came under the rule of the Ptolemaic Kingdom and Seleucid Empire, in addition to other minor territories which gained independence at that time.